your private & corporate events. catered. I will work with you to create the ideal menu for your event - from corporate lunches to birthday buffets I can provide fresh and tasty dishes to wow your guests! 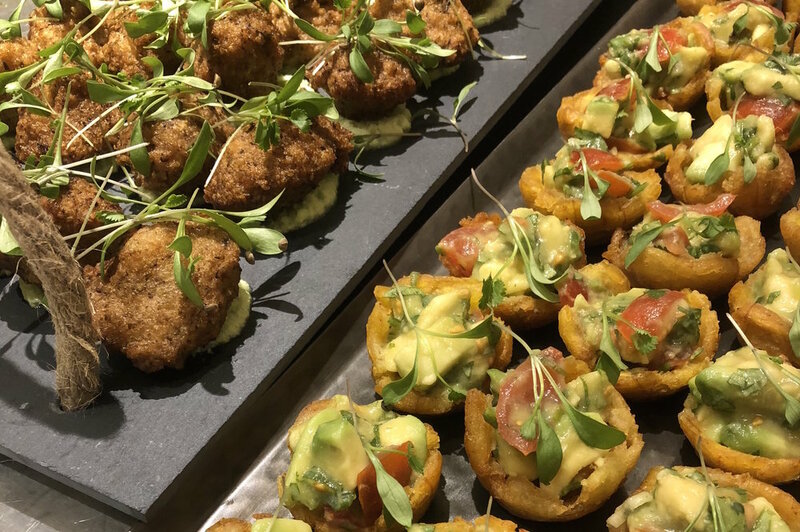 Whether you need a fully staffed and equipped event or a simple drop-off service, there’s no need to miss out on plant-based food done Breadren style. I’m proud to offer a fully vegetarian catering service with a huge selection of vegan options. I was a latecomer to vegetarianism myself, and I have a real hatred of substitute foods and fakery - but with natural, seasonal, carefully prepared food, I’ve not looked back and don’t miss the meat at all. So let me surprise you - meat eaters and plant fans alike! All you’ll need to do is sit back and enjoy your event, safe in the knowledge that your guests will be dining on the best local, seasonal produce assembled expertly with the greatest care and passion. Check out some sample dishes from recent events below, then get in touch to find out how you can get yours!